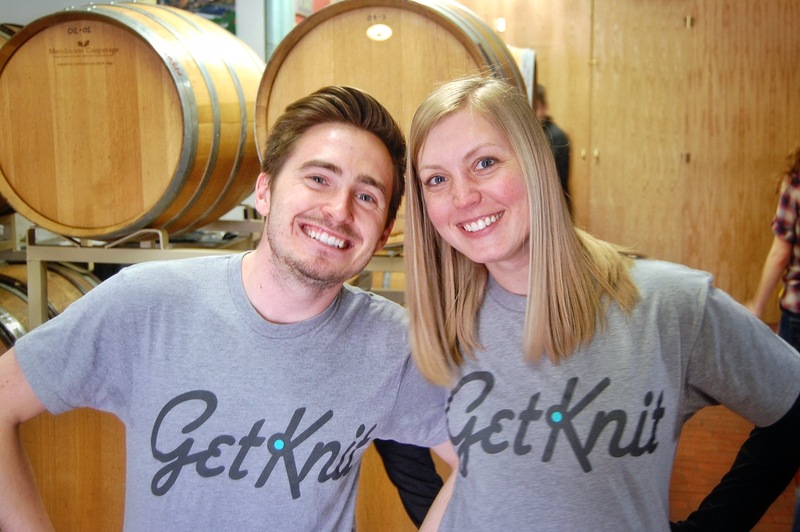 A new events company has just burst on to the local scene here in Minnesota called GetKnit. They are pulling together winery and brewery tours, cooking classes, and volunteering opportunities, which all ride on the back of the Local movement. 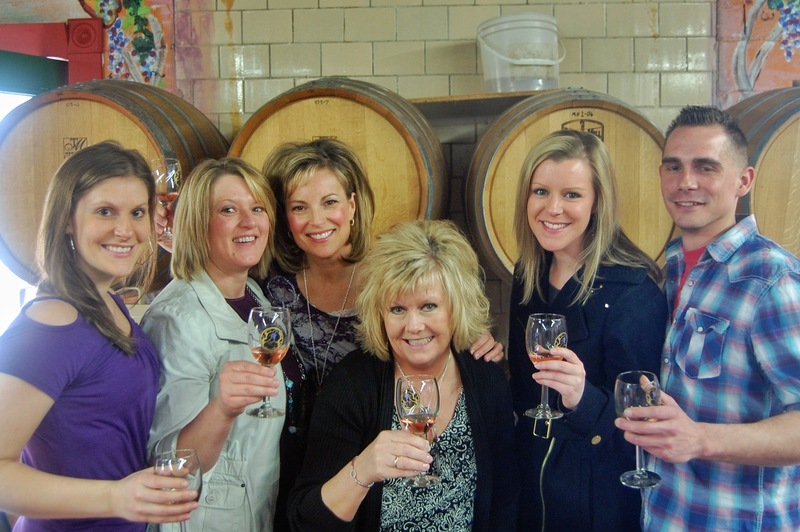 On Sunday, April 7 at 10:30am, the new company kicked off their maiden voyage with the St. Croix River Valley Winery Tour. Even though the day started out cloudy, the staff were nothing but sunny. Just shy of 40 people met at the Roseville Park N’ Ride to board a luxury charter bus to the sounds of Frank Sinatra playing over the air. I personally would have gone with Herbie Hancock’s Maiden Voyage, but I’m not sure how many would have gotten the joke, so Old Blue Eyes was probably a better choice. The GetKnit staff, called the GetKnit Gurus, which were nearly all in the first half of their 20s, expertly set the atmosphere establishing the suggestion that above all else, this day would be fun and social. The company’s name itself hints at their broader goal of “Knitting the community together” and without silly games or icebreakers, they organically facilitate the co-mingling of fellow travelers. Of course, the added suggestion that bottles of wine purchased at the wineries may be consumed on the bus certainly aided this process. Later in the tour this set the groundwork for a sing-a-long of Bon Jovi’s Livin’ On A Prayer, which was well participated. Stop 1 was a quick ride over to St. Croix Vineyards for a tasting of 5 locally grown and made wines including a port-style dessert wine with a bit of chocolate to finish it off. While the group certainly enjoyed the tasting housed in a beautifully restored rustic barn, the excitement for the vineyard came at the end when a large number of visitors lined up to make purchases. Stop 2 was in the more urban styled Northern Vineyards, a co-op winery found in the heart of Stillwater. 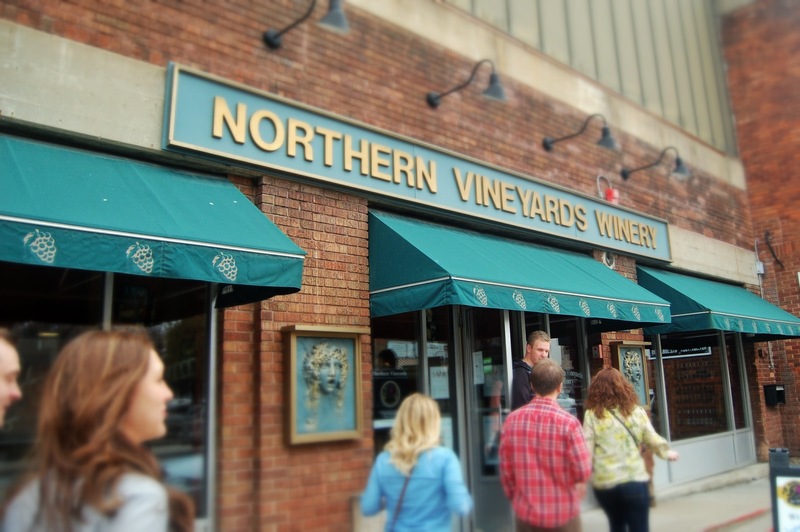 This tasting followed the format of the first involving Minnesota grown and produced wines, finishing with the port-style dessert wine and chocolate, but in a more urban atmosphere. The second floor patio of the winery overlooks the scenic St. Croix River and will no doubt only enhance the experience when the chill finally leaves the air. Much discussion was had in comparing the first winery to the second, but regardless of which side people stood on, purchases were again made. 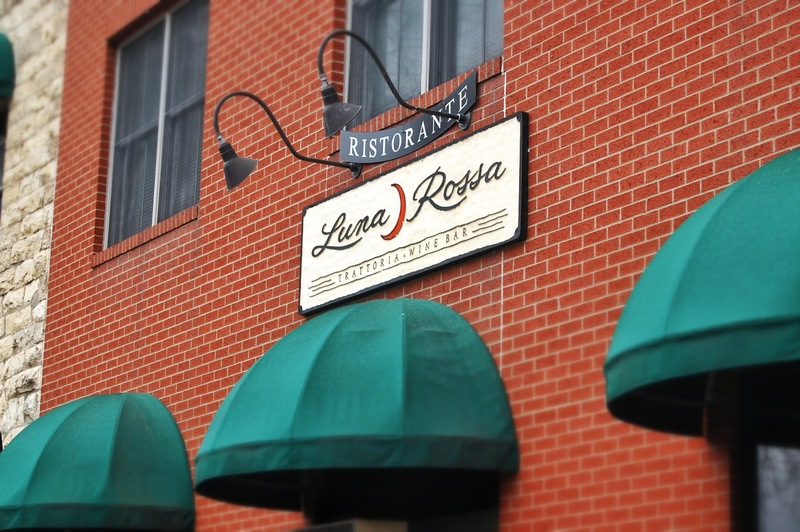 Around 1pm a well-deserved lunch was had just down the street at Luna Rossa. Wine was not included in the lunch, but was available for purchase. However, only the most adventurous chose to partake; most appreciating the brief respite piling up on the pasta and salad. Yet, before the coma-inducing powers of digestion could set in, the GetKnit Gurus corralled everyone back on the bus for the 45 minute drive over to the last stop across the border into Wisconsin at Chateau St. Croix Winery and Vineyard. 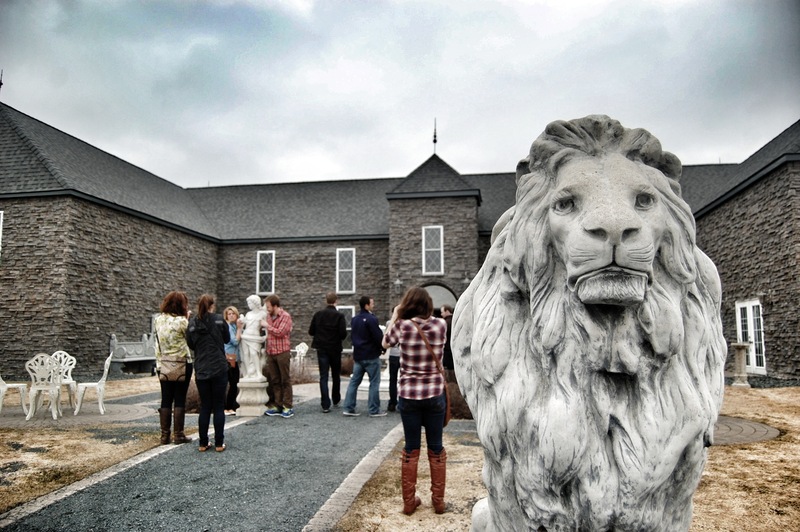 This stop was perhaps the least Midwestern feeling of the wineries visited as it was inspired by various aspects of France showing off regal statues and a fountain out front, a French hunting lodge inspired tasting room, candelabras, chandeliers, and even full sets of armor standing at guard. The wines themselves were mostly made from grapes imported from California, but to reassure people they were in fact still in the Midwest (Specifically Wisconsin), the winery does have two wines labeled Buckhunter Red and Cheesehead White. For good measure, they also have produced a wine from the University of Minnesota hybrid Marquette grape as the previous two wineries had which appeared to be their grape of choice planted in their burgeoning vineyard mixed in with some Prairie Star. After a quick tour of their facility, another port-style wine and chocolate pairing was had. The women again swooned. Purchases were again made and even bottles of beer were bought (When in Rome…) for the ride back across the state line to the tours completion. Chateau St. Croix being guarded by a lion. Most surprisingly was how smoothly everything operated for GetKnit’s premier outing. The GetKnit Gurus seemed particularly adept at herding cats and there was not a single blip in the schedule, or if there was, no one noticed. At $65, the tour was an absolute value (15 wines, 3 wineries, lunch, transportation, wine glass memento) and not only the participants, but the wineries and the staff all appeared to be having a wonderful time. The company has already lined up a number of events, including the wine tour through May with more events likely to follow. For more information about GetKnit events follow the link.